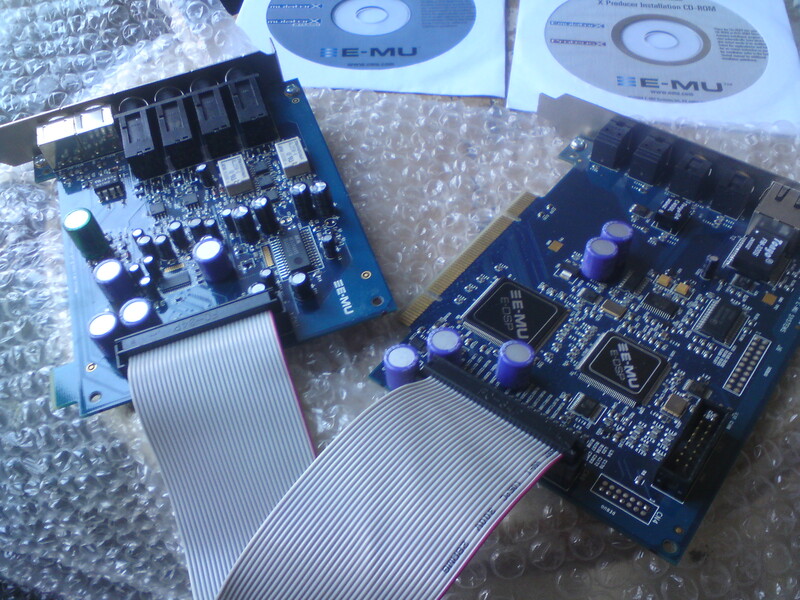 1212M V2, Internal PCI/ISA Sound Card from E-MU. 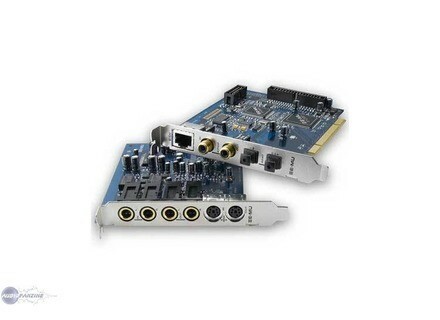 This card is probably the best sound card for beginners because of its daughter card and its price / quality ratio surprising. EMU is a trusted brand and I sincerely advocates to spend € 40 more in a 1212M V2 than in 0404. I currently use Cubase Studio 4 with banks EWQL sounds. The installation was no problem on my setup. The daughter card is connected by a sheet provided, I think all this must easily integrate in any case. The interface of the virtual console is fairly simplistic but well thought out and intuitive. 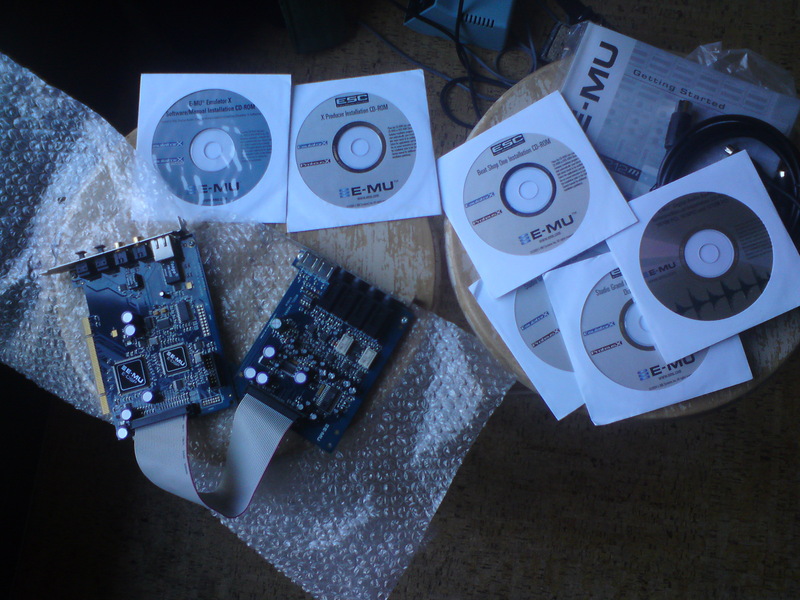 The printed manual is not very clear and it does not mention that the installation of the same sound card and its drivers. So little about its use. It is important to update its drivers on the EMU site. Yes, I had some latency issues with respect to the card as well as crackling. Everything is back to normal, and I do not drop below the 20ms of the largest projects EWQL (in 40 tracks). I've had a week I think will probably be published soon. I really like ease of use and installation. Ergonomics seems perfectly still I notice a serious lag I expected to easily reach the 10 ms for a single track VST! 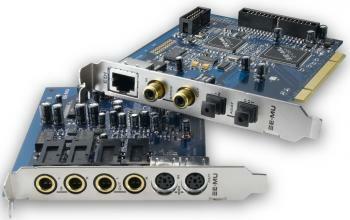 This is my first sound card so I have no other experience on the matter. The price / quality ratio seems correct. 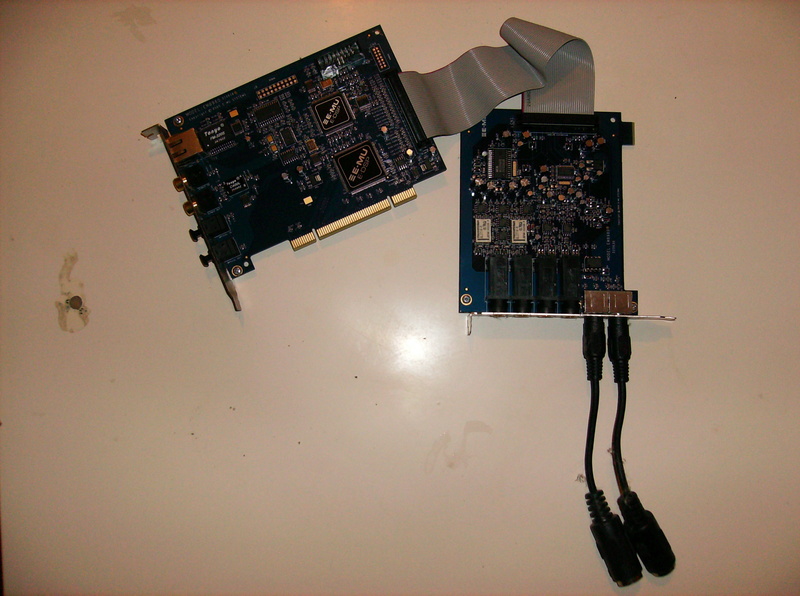 Initially I intended to use it on a pentium core 2 to 3GHz, 4GB of RAM. Then I kept it for use as a box effect on Pentium 4 3GHz, 1GB of RAM. cracking in analog recording from 96khz. the most: software provides? Whatever I balance a little. -Which instruments or the Systmes do you use? - What is the particular feature you like most? yes for a PCI card there's no better and if you want more I / O or take the 1616m in 1616.